Since the Nashville Painting Company was started in 2011, the company has committed to the goal of providing excellence in service to local communities. At the heart of the company’s ethos is a drive to deliver the highest quality experience to every customer, regardless of the size of the job. This attitude, which values the needs of homeowners and commercial business owners, has solidified the Nashville Painting Company’s place as a service provider that delivers on the promises it makes. The Nashville Painting Company takes an innovative approach to provide customer satisfaction. While quality painting services is a focus, the main principle of the company is the commitment to enhancing the customer experience. Regardless of whether the customer is a homeowner or business, the Nashville Painting Company makes sure that deadlines are met. Leaving each project in pristine condition is one of the company’s trademarks. The only sign that the team has even been in the building is the exceptional quality paintwork that it left behind. Nashville Painting Company has a finger on the pulse of Nashville. When customers seek a new service, they deliver. 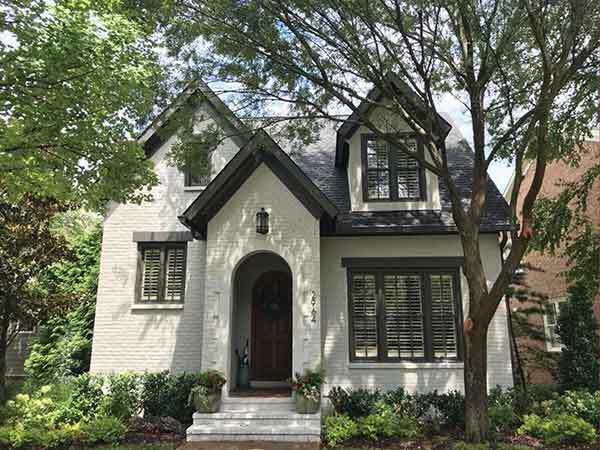 Limewash is a top trend for exterior paintwork in Nashville. Classico Limewash uses Dolomite lime from Northern Italy in its formula to create this unique finish on brick exteriors of homes and businesses. This natural looking finish is achieved through the whitewashing of brick to give an Old-World charm. 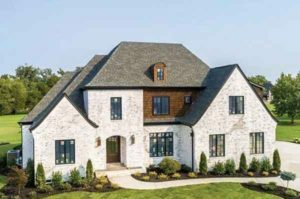 Few painting companies have the skill and knowledge to truly deliver the desired effect using Classico Limewash—yet the Nashville Painting Company makes it look easy. One of the unique selling points of this method for painting exterior brickwork is that Classico Limewash washes off easily when initially applied. Customers can see a test sample on their building, giving them the opportunity to make an informed decision about whether it is the right look for their property. It would prove difficult to find a company that is better suited in the state to deliver the quality of workmanship than that of the Nashville Painting Company can provide to customers. By adding Classico Limewash to its already extensive list of services, the company once again proves that customers can always rely on a top selection of services that are designed with satisfaction in mind. Part of the success of Classico Limewash for the Nashville Painting Company has been word-of-mouth endorsement and repeat customers. A company’s ability to endure through any economy is often built on the quality of its reputation—and that is one of the many areas in which the Nashville Painting Company continues to shine. Nashville Painting Company provides all prospective customers with comprehensively written quotes. Specifications are met to the letter, providing customers with the peace of mind of knowing that they are getting exactly what was agreed. Scheduling is also an important principle to the team at the Nashville Painting Company. These are the reasons the company has been awarded the Super Service Award from Angie’s List two years in a row. For more information call 615-669-7852 or visit the company online at NashvillePaintingCompany.com.